The amazing Frelinghuysens of New Jersey have been compared to other national dynastic families such as the Byrds of Virginia and Saltonstalls and Kennedys of Massachusetts. In terms of both longevity and accomplishments, the Frelinghuysens, over the course of the past 267 years, have been in Congress almost continuously. Today's article focuses on the Frelinghuysens of New Jersey and their Newark connection. They served in the Continental Congress and count among them a U.S. secretary of state, mayor and city councilman of Newark, attorney general of New Jersey and a military general. Family members have walked in temperance lines, directed the Howard Savings Institution, gone to jail as protesting suffragettes, controlled the sugar trust in the 19th century, built great art collections and were important figures in the history of the Newark Museum and New York's Metropolitan Museum of Art. Some were university presidents. Others married into families including the Ballantines, Procter & Gamble and Mutual Benefit Life Insurance. Another served as Newark corporation counsel. Indeed, probably few other families in America can show such a rich link with a city, region and the nation as the fabulous Frelinghuysens. The family's first two generations were religious leaders, not involved in politics or business in any way. The Rev. Theodorus Jacobus Frelinghuysen (1691-1748), known as 'the Apostle of the Raritan, ' arrived in America in 1720, settling in Somerville, N.J. He had lived in Westphalia on the German-Dutch border but was purely Dutch in background. Theodorus Jacobus was a leader in the great national movement known as America's 'Great Awakening.' While his counterparts—George Whitefield of the Methodists, Jonathan Edwards of the Congregationalists, William and Gilbert Tennent of the Presbyterians and Melchior Muhlenberg of the German Lutherans—led their respective denominations in this great national religious revival, Frelinghuysen was leader of the Dutch Reformed Church. This first-generation Frelinghuysen was chiefly an evangelist, a strict interpreter of the Bible and religious principles, which led to unrest and an eventual schism in the Dutch Church. All five of Theodorus Jacobus' sons became ministers. His two daughters married clergymen as well. His second son, the Rev. John Frelinghuysen (1727-54), died suddenly. His Dutch-born wife, Dianah Van Bergen, eventually married Rutsen Hardenberg, later the first president of old Queens College, which eventually became Rutgers University—thus the name Hardenberg Hall on the New Brunswick campus. A third-generation Frelinghuysen, Frederick (1753-1804), broke the mold of belonging to a religious community. Although his mother prayed that he too would become a clergyman, he instead read law, going into politics and the military. In 1774, Frederick was elected to the New Jersey Provincial Congress. In 1778, he was elected to serve in the Continental Congress. He was with Gen. George Washington on the retreat across New Jersey, the crossing of the Delaware and the Battle of Trenton, and served in the terrible winter at Valley Forge. In 1793 he was elected to the U.S. Senate from New Jersey. Whenever major issues emerged in Washington relating to the Dutch government, Frederick was called upon as the 'nation's leading Dutch-American.' As a brigadier general, he was sent to the West to deal with Indian matters. Later, as a major general, he dealt with problems involving the Whiskey Rebellion. He died on his 51st birthday, leaving three sons and a daughter: John, Theo, Frederick and Maria. Of the four children, Theodore (1787-1862), known as 'the Honorable, ' was the most interesting. Although he ran unsuccessfully for vice president as a Whig with Henry Clay, he was the second Frelinghuysen elected to serve in the U.S. Senate from New Jersey. His distinguished legal career included serving as attorney general of New Jersey. He also was chancellor of New York University from 1839 to 1850. From 1850 to 1862, he served as president of Rutgers University, an institution that his family had helped found a century before. Theodore was elected mayor of Newark twice, in 1837 and 1838. During his tenure in Newark, he called 19 Washington St. home. Since he had no heir to carry on the family name, he adopted his nephew, Frederick Theodore (1817-85), son of his brother Frederick (1783-1820). 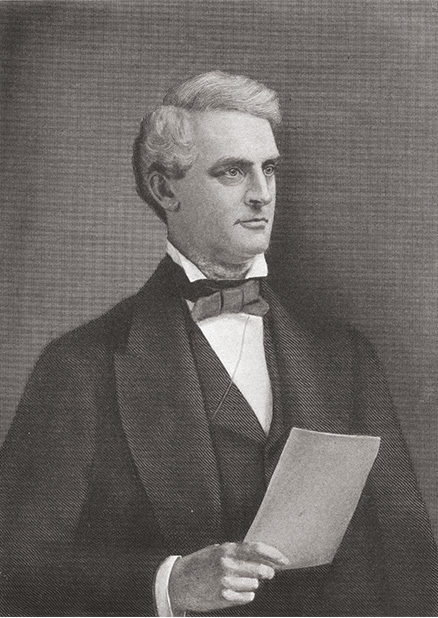 Frederick Theodore Frelinghuysen, the adopted nephew, was a fifth-generation family member in whose honor the statue in Military Park was erected. Like his father, he studied law, and was admitted to the bar in 1839. In 1849 he was chosen as Newark city attorney. The following year, he was elected to the Newark City Council. He served as United States attorney general under President Abraham Lincoln, and was deeply involved during his legal career in activities involving the Central Railroad of New Jersey and the Morris Canal and Banking Co. Another honor came when he was nominated as ambassador to the Court of St. James, an offer he turned down because of objections from his wife. A well-known abolitionist, he served in the U.S. Senate and as U.S. secretary of state under President Chester A. Arthur. Late in life, he tried to build a canal across Nicaragua. In 1885, shortly before his death, he was elected president of the American Bible Society. His funeral was held in stately old North Reformed Church. He is buried in Mt. Pleasant Cemetery. Frederick Theodore and his wife, Sarah, had eight children. Three of particular interest in the family saga are Frederick George Griswold and Sarah Helen. Frederick (1848-1924), part of the family's sixth generation, was born in Newark, lived at 18 Park Place and practiced law here in the family business. He was notable for serving as president of the Howard Savings Institution and for his considerable attention to church affairs. More important, he was president of the Mutual Benefit Life Insurance Co. His brother, George Griswold (1851-1936), also practiced law in Newark. He married Sarah Ballantine, heiress to the Ballantine brewing fortune. Their sister, Sarah Helen (1854-1939), married John Davis, assistant U.S. secretary of state. Their daughter, Matilda E. Davis, married into the socially prominent Massachusetts family of George Cabot Lodge. The seventh generation was represented by Peter Hood Ballantine Frelinghuysen Sr. (1882-1959), a well-known Morris County horse breeder. He married Adeline Havemeyer (1884-1963), the sugar trust heiress, who helped her husband assemble one of the nation's greatest private art collections, now housed at the Metropolitan Museum of Art in New York. The union of the Ballantine and Frelinghuysen millions and the even greater Havemeyer fortune gave the family a sense of security that allowed it to express itself to whatever degree it wanted. Louisine, widow of Harry, builder of the original fortune, and grandmother of Adeline, became one of the nation's leading suffragettes. In 1929, she was arrested for burning an effigy of President Woodrow Wilson in front of the White House. Never in the family annals had such an event occurred. In 1921, Sen. Joseph Sherman Frelinghuysen (1869-1948), a descendant of the War of 1812 Gen. John and Frederick I (1818-91), played a role in modern history. On Joseph's Somerset estate, his friend and weekend guest, President Warren G. Harding, signed the final draft of the peace treaty ending World War I. Apparently, Harding had been spending time at the senator's home. The final draft of the document ending the war with imperial Germany was included in the daily diplomatic pouches received from the White House. The family's eighth generation included Peter Hood Ballantine Frelinghuysen Jr. and his twin brother, Harry Osborne Havemeyer Frelinghuysen, who were born in 1916. Peter served in the House of Representatives from 1953 to 1975, while his twin kept mainly to Morris-Somerset County politics. Presently, a ninth-generation member of the family, Rodney P. Frelinghuysen, serves in House. Born in 1946, he is the son of Peter Hood Ballantine Jr. and Beatrice Procter Frelinghuysen of Procter & Gamble note. His legislative service continues a tradition pioneered by one of America's oldest political families. While the first Frelinghuysen legislators went to Trenton, Philadelphia and Washington on horseback, today's congressman travels by Metroliner or jet to the nation's capital, carrying on the family name in representing New Jersey as the clan has for nearly 25 decades of American history.